Deutsche Bank Shares Fall As Angela Merkel Says No Bail Out! Berlin is trying to distance itself from Deutsche Bank and the threat of a $14 billion U.S. fine that would likely force the bank to raise capital.This makes sense politically ahead of an election year. It also, effectively, calls the U.S. authorities’ bluff: if the fine is too big, German taxpayers won’t step in to help. But the danger is that deepening investor concerns over the health of the country’s No. 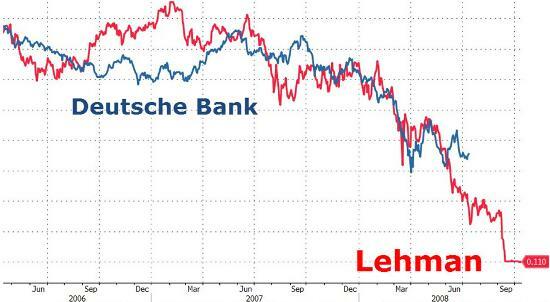 1 bank spiral out of control — and circle right back to Berlin. As unpalatable as it may be politically, the market sees Germany and Deutsche as joined at the hip. You can see it in Deutsche Bank’s share price: it plumbed a record low on Monday after Focus magazine has reported Chancellor Angela Merkel ruled out state aid for the lender ahead of next year’s elections. You can also see it in the lender’s credit-default swaps: both the German five-year sovereign CDS and Deutsche Banks’s five-year CDS have risen in tandem over past weeks. 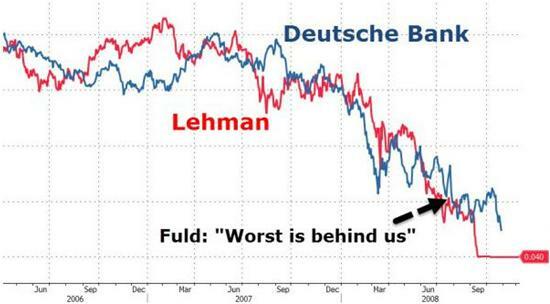 Even Deutsche Bank’s own executives have commented on it. It’s almost a year to the day since Stefan Krause, then a member of the bank’s management board, noted how investors confused the lender with the Bundesbank and therefore saw “there was always an implicit state guarantee” when giving the bank funding. 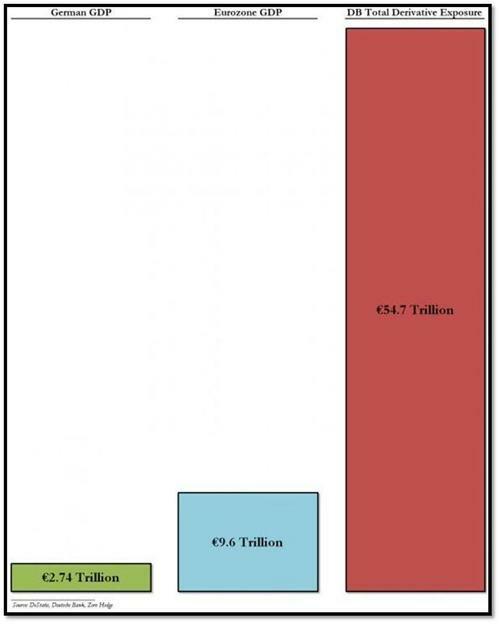 Deutsche Bank is a truly systemic bank with about $2 trillion in assets, about two-thirds of Germany’s entire annual output. The weaker it becomes, the more investors will expect its home country to be on the hook. Deutsche Bank said it’s determined to manage on its own and a capital increase isn’t currently on its agenda. Merkel’s government is attempting to stay out of the fray. On Monday, her chief spokesman said there were “no grounds” for speculation over state funding. This last sentence illustrates the severity of the problem: When a government has to deny its intention to bail out a bank, a bail-out is not just possible but highly likely. DB’s saga seems to be nearing some kind of resolution, with exactly zero potential happy endings. Either it crashes, taking the European and maybe global financial system down with it, or Germany nationalizes it, potentially tipping the euro, dollar and yen into chaos. Germany at the center of a global crisis, who would’ve thought it?